If you are suffering from hearing loss and want a discreet solution then look no further than our invisible hearing aids in Hanley. 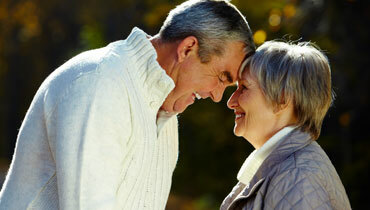 Invisible hearing aids are an amazingly compact solution to any level of hearing loss and are virtually undetectable. Suitable for all levels of hearing loss and designed with comfort in mind, our range of invisible hearing aids in Hanley is unrivalled in the region. Stocking world leading brands such as Siemens, Widex, Phonak and many more our expert consultants will find the perfect solution for you. Would You Like an Invisible Hearing Aid? You can get a free hearing test in Hanley today with no obligation to buy. We will offer you impartial advice and guidance on the best course of action for you to take. As for invisible hearing aids, our Hanley store has plenty to choose from. The most discreet are our CIC (completely-in-canal) hearing aids which are the very smallest available. They sit deep in the ear canal and offer a remarkable level of amplification. Whether your hearing problem has been a long term problem or a recent development then you should come to our Hanley hearing centre. There is no need to suffer and you will be amazed with the quality of our invisible hearing aids and how much they can help you. If you have any further questions about our invisible hearing aids then why not pop in to our Hanley hearing centre? We believe in treating the customer with respect and will take the time to properly diagnose any problems you are experiencing. We have over 25 years of experience in the hearing industry and have thousands of satisfied customers across Staffordshire. If you have any further queries or would like to know more about our invisible hearing aids in Hanley then please do not hesitate to get in touch.